Significant development has occurred in the upper Cahaba watershed in the last few decades. 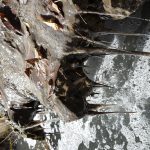 In 2002, the EPA published GIS land use data indicating that in 1998, 38% of the Cahaba watershed was categorized as “disturbed,” up from 8.8% in 1990. 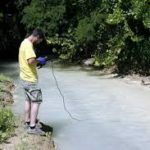 In the same study, Buck Creek, a major tributary to the Cahaba River, had a watershed that was 63% “disturbed.” Loss of riparian habitat around the Cahaba River increases stream flow rates and volumes, causing erosion of the river banks and flooding of home sites downstream in many areas. 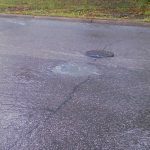 For example, effects of flooding and erosion can be seen today downstream of the Liberty Park at the I-459 and Highway 280 corridor and downstream of the Hwy 280 bridge crossing.